Have investors, analysts, and pundits lost their minds? Reading some recent Apple analysis you could make that case. The company is still wildly successful financially, yet perusing the news sites and the blogs will make you think the company is in some danger of failure. That couldn't be further from the truth. There is too much focus on the present, take for example Apple's most recent quarterly results. The Cupertino company had its second best quarter ever, yet investors focused on analysts sky-high expectations. Apple paid for it, and still hasn't recovered two weeks later. Apple is on a path for sustained success, and there is building evidence of that through its financials and the market overall. Failing to look at the big picture is a mistake. First off, Wall Street's reaction was without merit. iPhone shipments missed for an obvious reason: consumers expected a new iPhone, and held off on their purchases. iPads remain strong and close to consensus. Most importantly the Mac business is thriving, surpassing consensus. My colleague Joe Wilcox gave us an early preview of the Mac results in his story on quarterly PC sales numbers from IDC and Gartner in mid-October. Gartner placed Apple's US share of the market at 12.9 percent, IDC at 11.3 percent -- based on unit shipments (not actual sales). Both were the best numbers for the company in decades, and Joe referred to the gains as "shocking". Now take what I just shared, and add to it to Apple's own projections for the upcoming quarter. The company expects to rake in $37 billion -- its best quarter ever (by some $10 billion in fact!). Apple regularly beats its projections, so I'm expecting a blowout quarter for the company. Company executives in the most recent conference call said more than once it expects "record shipments" for both the iPhone and iPad lines. They're very confident in Cupertino. The data makes the reaction of hypersensitive investors and knee-jerk pundits and analysts look ridiculous. Here is a company that is doing almost everything right and running on all cylinders, yet investors punish it. It makes no sense. Analysts only analyze on what they know, and how much can you really know about the most secretive company on the planet? Can we really trust these analysts have the full picture? I think those answers are obvious. Analysts get things wrong all the time, and sometimes en masse. Count the number of analysts that following the PlayStation 3's lackluster launch kept projecting it would end up in first place overall? Too many to count, and it's still in third place a half decade later, according to compiled sales numbers from VGChartz.com. How many actually had the Nintendo Wii selling as well as it did? Almost none, and it nearly sold the Xbox 360 and PS3 combined! So much for analysts' predictions! They have been wrong before about Apple too: the iPad is a shining example. Look at this compilation of sales forecasts for the original iPad from Asymco. Not a single analyst came within half of the 14.8 million units the company actually sold in 2010. Even your "Apple-favoring" analysts -- Shaw Wu and Gene Munster -- were way off. 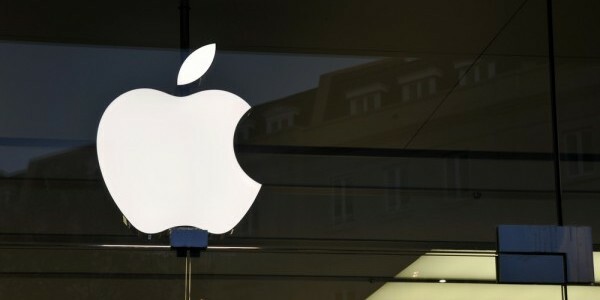 On predicting the financial health of Apple, analysts also made a significant change to the way they figured their predictions, Bullish Cross' Andy Zaky points out in a post for Fortune.com. Whereas in the past analysts typically placed their expectations at about a five to ten percent premium to Apple's forecasts, this quarter that jumped to an average of about 19 percent. So when Apple beat its guidance within the typical margin of 12 to 18 percent that it had over the past several quarters -- 13 percent here -- it was seen as a miss. The San Jose Mercury News' Chris O'Brien wrote on how these analysts screwed up on understanding the consumer market when it came to waiting for the new iPhone (what did I tell you?). One of them actually admitted they were quite overzealous. Thus, the "Apple stumbles" meme in the media is more a function of analysts inexplicably changing their forecast formulas. This would have been considered a great quarter otherwise. How do you figure that? What an analyst says should never be taken as gospel or hell, even taking my word as gold on this issue. Many of us use what these experts say to further our own biases. It is human nature for us to do so, thus there's no need to lay blame. While I have laid out for you my argument for why Apple's already in good shape, we really haven't seen anything yet. Evidence of this comes from a recent study by Harris Interactive. The firm polled young consumers aged eight to 24. They found that Apple had strong brand equity in this key group -- in fact, it is the top brand in computers, phones and tablets among those 13 to 24. Apple beat out a long-established brand in HP, one of the biggest phone manufacturers in HTC, and dusted the floor with the Motorola Xoom. The fact that Apple is curating such loyalty across the board among the youngest of consumers is very significant. These kids are growing up Apple, and when they get to the age where they're making purchasing decisions independently the company will benefit. This is something Apple has never enjoyed during its three decades of existence. Why is this? Today's older tech generation comes from a time where Apple computers sat aside of PCs with a sixfold premium, our only exposure to Apple was in the school computer lab, and we used Napster to download our music. Contrast that to today's generation: They know Macs as the premium brand in computers, but without much of the so-called "Apple Tax", many of them have exposure to Apple through their iPods and iPads -- that so called "halo effect" -- and iTunes is the place for them to go for digital music. This consumer group is huge, too. "Generation Y" (born 1977-2000) eclipses the size of the "Baby Boomers". By 2017, it will exceed the elder group's buying power, according to marketing researcher Kit Yarrow, PhD and retail expert Jane O'Donnell, authors of Gen BuY. Apple has significant brand presence here. It is really difficult to argue that this will not translate into increased sales -- or at least the opportunity. The company has an envious position now that few of its competitors will ever enjoy. This is why Apple is in no trouble regardless of the bumps in the road it has encountered this past year. I think it's quite dangerous to make judgements based on the present of a company's overall health. Many analysts, pundits, and investors alike have done so with Apple. But the argument can be made that Apple's best days are ahead of it, and the stars are aligning to keep the Cupertino company relevant for the years -- if not decades -- to come.